Thank you for the positive response on this month’s SavingsPinay Series. Make sure to joining the SavingsPinay Facebook Group which would be very active in terms of giving budget, saving, productivity and entrepreneurship advice. Today we will be focusing on the Guide in Choosing the Right Mutual Fund to Invest With. Now, choosing a mutual fund is like walking into a mall filled with stores that offer great choices, discounts and more. 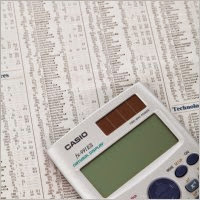 In the United States for example, there are about 10,000 different mutual fund you can choose. 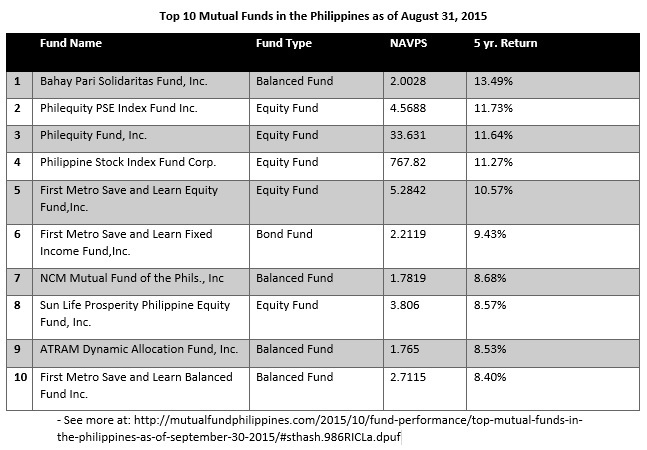 It’s fortunate that here in the Philippines the number of mutual fund types are just around a hundred. Still, one could argue that sorting though this hundred of choices is very hard. Is this your first time investing? A lot of SavingsPinay Readers are first timers when it comes to investing. And since I consider myself a beginner, I believe I can really share how the process in choosing a mutual fund is. I have to be honest since I’ve talked about in the past posts that when I invested in FAMI-SALEF it was more of an impulsive move. I researched, read a lot of blogs and testimonials and given a leap of faith on what it could bring me. After two years, I am still happy with my decision. Stock Mutual Funds (Equity Funds) has access to equities in an affordable and relatively safe environment. If you are after diversification, professional management, liquidity, fund safety and low entry cost then mutual funds that fall in this category is for you. Stock Mutual Funds (Equity Funds) own a large number of different stocks in different industries. This secures that the risk is spread out meaning if one company suddenly fails it won’t affect the fund’s performance dramatically. Stock Mutual Funds (Equity Funds) are characterized by how they choose the company to invest with. Most often than not they choose investing in a labeled company that has market capitalization of small or large. Companies that have small market capitalization offers more opportunities for rapid growth while companies with large market capitalization are much stable. Invests in stocks that are expected to appreciate over time. 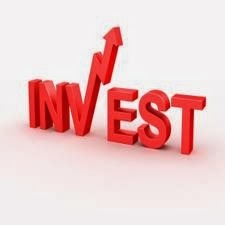 Invests on companies that have potential to grow consistently. Invests on firms with consistent growth in sales and earnings. 10-20 years in the form of price appreciation. Buy stocks that show consistent dividend growth and high dividend yields. Long period or time, perfect if you want to enjoy your retirement years. Invests on stocks that are trading below the value of the company’s assets. Looks after industry group that has fallen out of favor with investors. Risky since you hope for the industry to catch-up growth. Invests in stocks that are in a market boom. Invests in a particular field or business sector like healthcare, technology etc. Risky since you fully depend on the stock performance of a particular business. Bond mutual funds offer diversification and spreads the risk by investing over a large number of other bonds. Matures in a few years or less. Yields better than money market bond account or bank certificate. Expect return in 3-5 years. Matures past the 10-year mark. Highly exposed on interest rate fluctuations. Expect return in longer than 10 years investment. Money Market Funds are investment vehicles that invests in extremely short-term cash or cash equivalent instruments. They offer higher interest rate than regular bank accounts and is known as a safe place to park your money if and then you have something to purchase in the future. Money Market Funds have check-writing feature and other services to make it as a convenient investment vehicle. 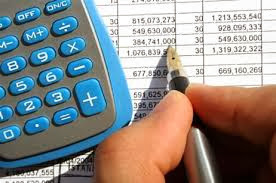 Money Market Funds Are Divided into Two; Taxable Money Market and Tax-Free Money Market. Invests in short-term corporate securities, bank certificates and other givernment-backed securities. Invests in treasury and have full faith on government-backed securities. These funds are considered specialized because they follow a specific investment objective. These are industry-preferred bonds that follow a strict goal and investment strategy implemented for years. Invests in income-producing real estate like hospitals, shopping center, apartments etc. Fund Manager find properties worth investing. Gives you the opportunity to participate in the growth of foreign economies. With the different types of mutual fund you just read, you might have some information overload. Don’t worry, there is a selection process you can follow to select the best mutual fund that can match your financial goals. Whether you are investing in a mutual fund or any other investment vehicle, you need to have an investment goal. Investment goals are your very own desires for the money you are investing. What will you do with the money you invested? Are you investing today for your retirement? or Are you investing today for a near-future expense like a house, a car or college education? Your goal as an investor will enable you to narrow down the mutual fund you will invest with. Again on Day 1 I’ve shared briefly the need to assess first what type of investor your are. Are you Conservative meaning have low risk tolerance? Are you Moderate meaning can take medium risk tolerance or are you Aggressive who have high risk tolerance? Identifying your risk tolerance as an investor is as important as identifying your goals. You just need to examine whether you are a risk-taker or not. How long can you afford to let your money grow in a mutual fund? Remember that the longer your investment time horizon is the better the result of your investment will be. I suggest a time horizon of at five or more years. This is why the best time to invest is NOW. We all have different styles as an investor. I, for example, are more into long-term capital appreciation fund. Since I am still at my early 20’s I can generally fathom my money to be invested over the next 10-20 years. If ever your needed the return in the near future then you might consider an income fund or a money market fund. Yes, the return may not be that high compared to those who invested long-term but still higher result than parking your money in a savings account. Balanced Fund on the other hand satisfy investors who are into long-term appreciation but unwilling to take risks. It invests on stocks and bonds. If you invest in mutual fund you are entrusting your money to a professional asset management firm. These firms has charging fees to the investor and you can read about them in the prospectus. Understand the different types of fees that you can be charged when purchasing an account. Research more about the sales fee or how much they charge if ever you withdraw your money. FAMI, for example will charge you if you an amount of your investment in the first six months. This is to cover any administrative charges associated with the investment and/or discourage you from withdrawing your money that early. I encourage you to research a lot if you are investing for the first time. Research on the experience of other investors and research more so on the past results. Is this fund consistent in making market returns? How did the fund manager perform under certain conditions? Each Mutual Fund’s Fund Fact Sheet matter. You can easily see how they diversify each investment, what their objective for the fund is and more. These fund fact sheets are most often than not updated on a monthly basis giving you a precise information about the fund’s performance. Selecting a mutual fund nowadays is such a daunting task, but there are processes that can make the activity easier. Just think about your objective and your risk tolerance. Also, be sure to ponder about the fund performance and seek help from others who have tried investing as well. 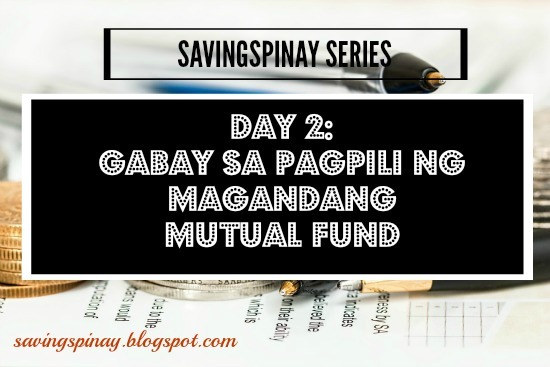 Did you enjoy Day 2 of the SavingsPinay Series: Yumaman sa Mutual Fund?